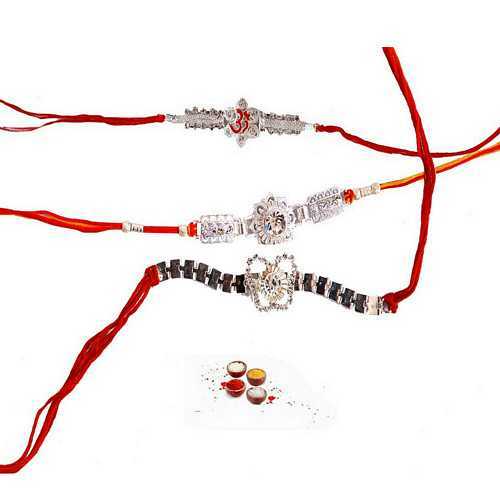 Convey your wishes and love to your sweet brothers with these three beautiful, bright and elegant designer rakhis made up with diamond aura premium stones and beautiful motifs and patterns in auspicious red Resham Dhaga (silk threads). 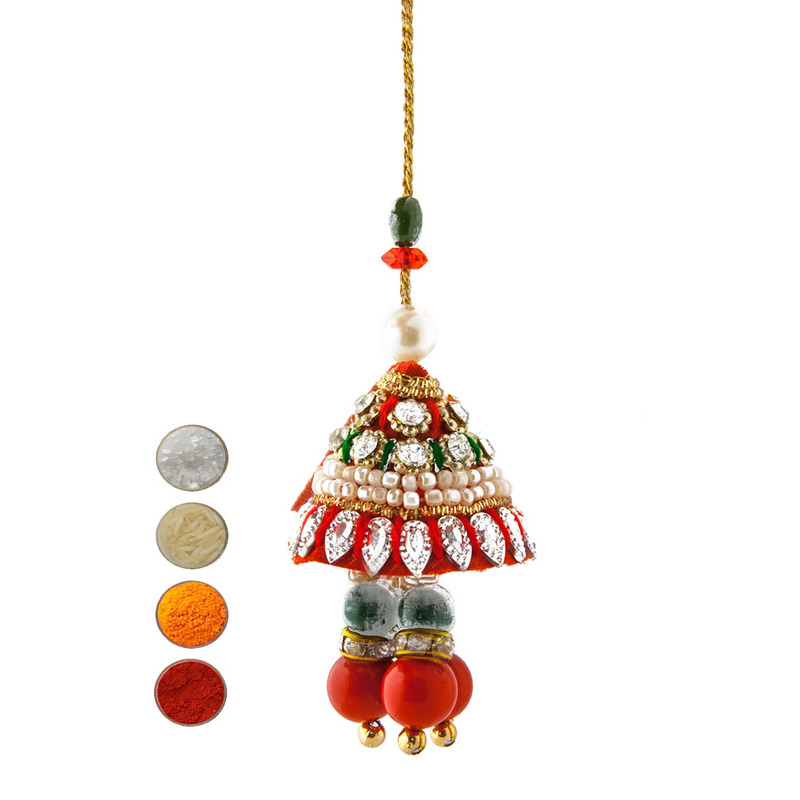 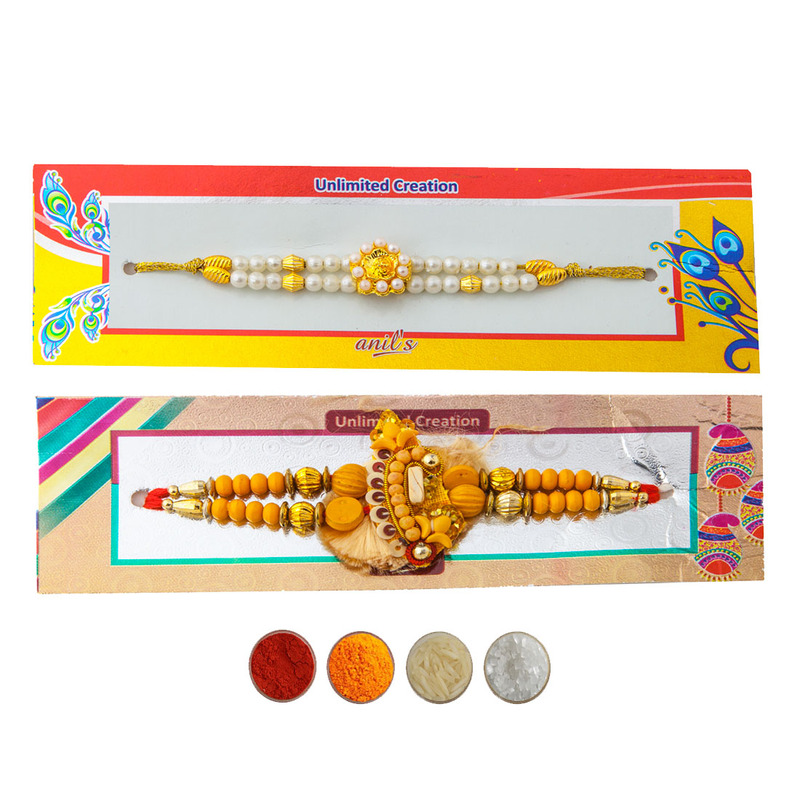 Buy set of 3 premium rakhis online and send to India for your loving and caring brothers this Rakhi. 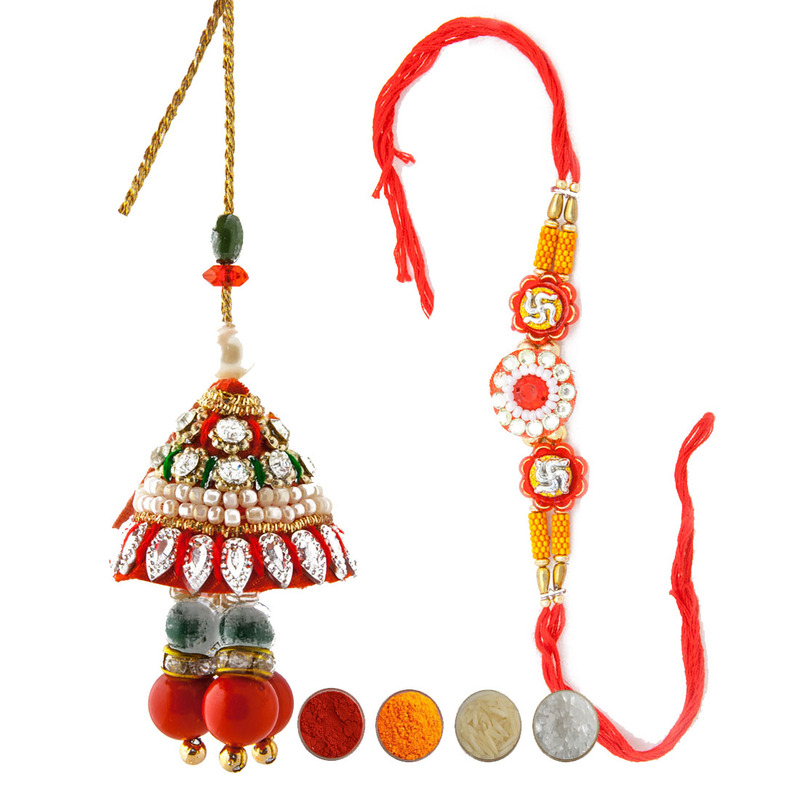 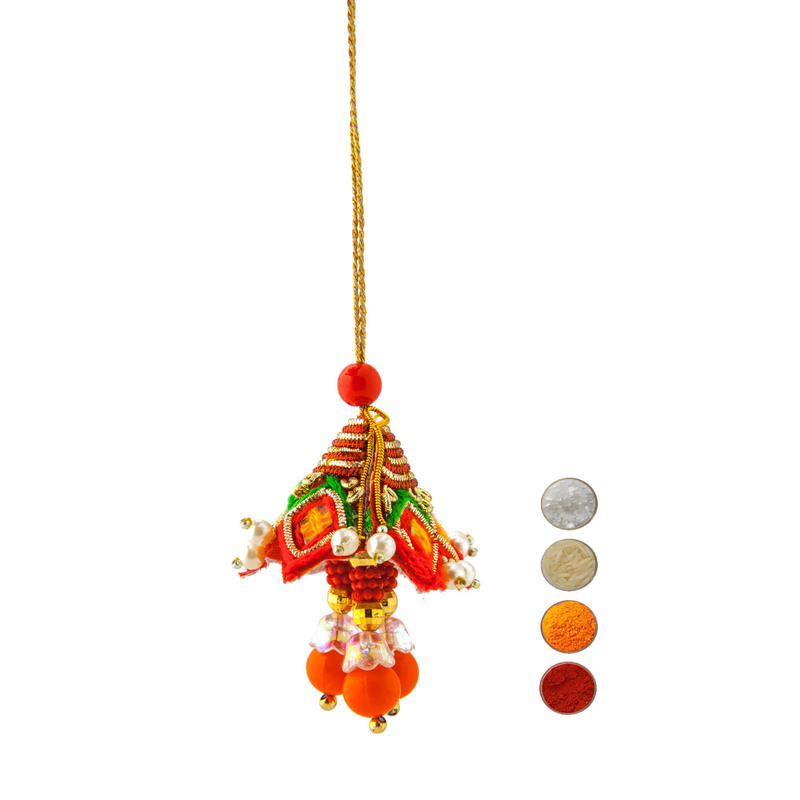 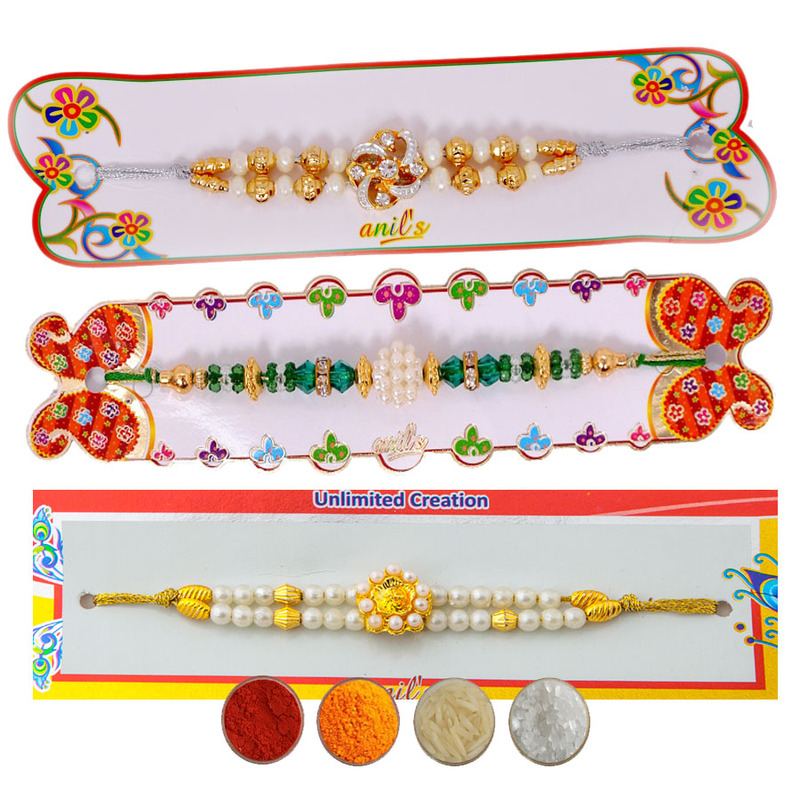 We offer premium Rakhis with free Roli, Chawal, Chandan and Mishri in attractive pack.